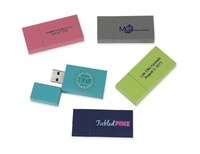 The new line of Modern Gloss Wood Flash Drives offer a unique high end delivery of your digital photography files to your clients. The wood drives have a modern high gloss finish in a variety of new and traditional colors. You can choose from 3 different storage capacities: 4GB, 8GB, or 16GB. Pricing includes FREE full color printing on both sides. 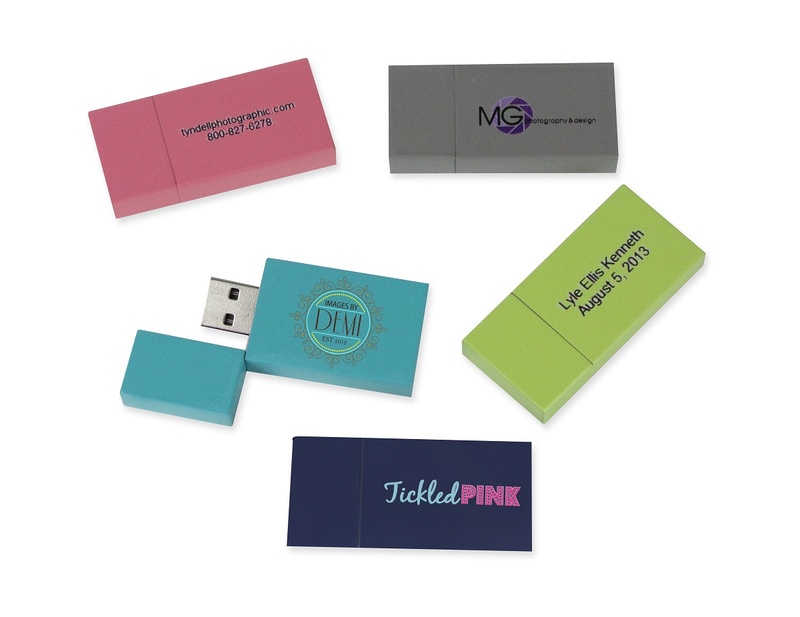 Brand the flash drives with your full color studio logo on one side and up to 2 lines of text (20 character limit per line) on the other side. 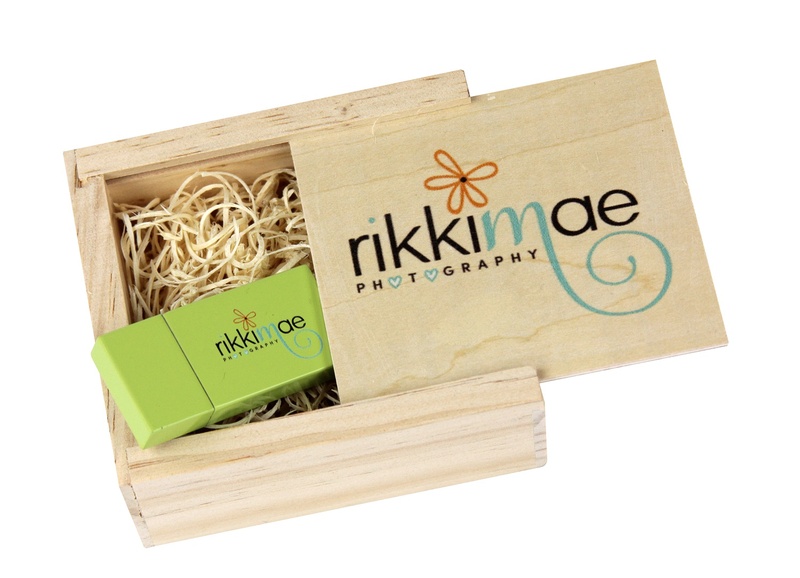 Pair this item with a Rustic Wood USB Box or a Metal Tin (pricing does not include packaging). 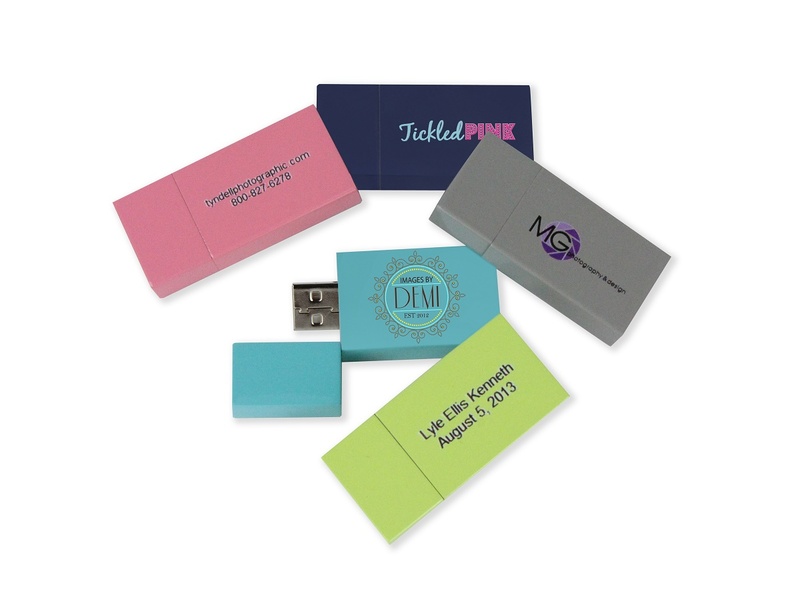 Customers who purchased a Tyndell Flash Drive - Modern Gloss Wood also purchased these items. 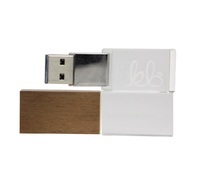 Rate our Flash Drive - Modern Gloss Wood.